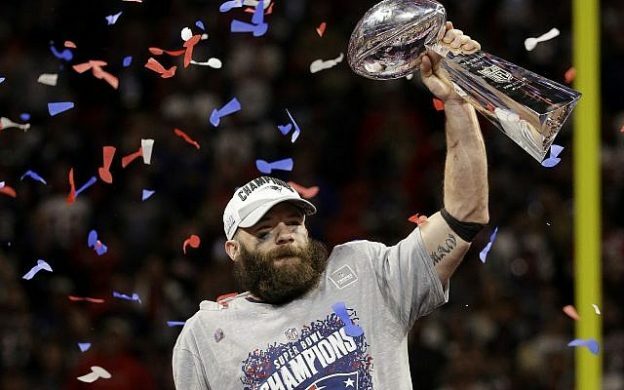 In the category of “Every success must be torn down” for the mainstream press, comes an attack on Super Bowl MVP Julian Edelman. The USA Today posted this at 1:30pm “Opinion: Super Bowl MVP Julian Edelman shouldn’t even have been playing in the game,” which basically attacks Edelman’s suspension for performance-enhancing substance use by conflating the NFL’s policy to that of MLB Baseball. “In Major League Baseball, that also would have meant he’d be ineligible for the postseason,” writes Nancy Armour in the hit piece. Hating on the Patriots has become commonplace. Here it gets ugly: “If he took a shortcut or two along the way, so be it. In the NFL’s eyes, all was forgiven long ago,” Armour says as she wraps up. Just remember: there were never statues erected for critics, only those who have done great things.